Remember Emilio Estevez in St. Elmo’s Fire? His character answered to this surname name. 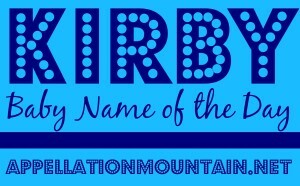 Thanks to Virginia for suggesting Kirby as our Baby Name of the Day. 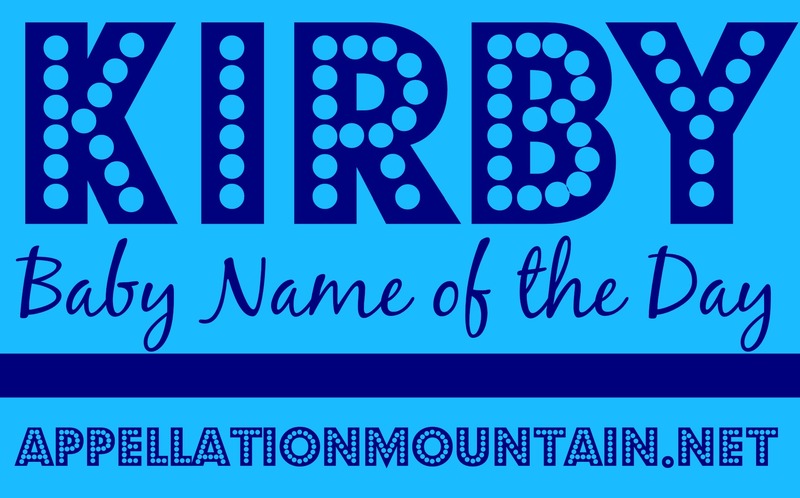 Kirby is an English spin on Old Norse, a name that stepped off the map. In Old Norse, kirkja is a church. The Scottish word kirk traces its roots to the same origin. The -by ending means settlement, so Kirby was a settlement near a church. On sound alone, it is easy to imagine Kirby fitting in with Riley and Kylie. Except that back in 1992, a little pink blob became Nintendo’s least likely video game hero ever. The blob was originally a placeholder while the character was fully developed. But Kirby, resident of Dream Land on planet Pop Star, worked best in his rough draft form. He’s an optimistic, innocent little creature – but oh my, is he fierce. Kirby can swallow anything and take on its attributes, so that little pink blob can fight like a ninja, or swallow so much air that he floats like a balloon. His little pink self has appeared on tons of merchandise, and he’s starred in over 20 games since his debut. The origins of his name are murky. It was shortlisted at some point, by someone – and may have been influenced by John Kirby, an attorney who defended Nintendo in a 1984 lawsuit. Even before the video game, Kirby was the name of an anthropomorphic vacuum cleaner in 1987’s Brave Little Toaster. The movie was based on an earlier novel, and sequels followed. All of this makes Kirby a good name for a cat, maybe, but how about a kid? Kirby is a huge name in comics. First there’s Jack Kirby, the illustrator who created Kirby krackles – the fractures of color on black used to show energy, like a ray gun blast. Then there’s Rip Kirby, star of a long-running comic strip about a former Marine who returns from World War II and hangs up his shingle as a private detective. Kirby Puckett played his whole, record-setting career with the Minnesota Twins and the center fielder is now in the MLB Hall of Fame. 1985’s St. Elmo’s Fire gave this name to Emilio Estevez’s lovesick character who pursues a very lovely – and not at all interested – Andi MacDowell. Here’s the best case for Kirby as boy name – he’s worn by none other than John Wayne in Fort Apache and Rio Grande. But is Kirby better for a boy or a girl? If you look at use, there’s a sharp spike from 1983 through 1986, when Kirby suddenly goes girl. Blame the small screen. Dynasty, that booster of Fallon and Alexis and Krystle, introduced a character called Kirby in 1982, and she endured the usual mix of love affairs gone wrong and devious schemes that awaits any prime time soap opera character. Maybe it is no surprise that Kirby fell out of the boys’ US Top 1000 back in 1996. Today the name is out of favor for boys and girls. 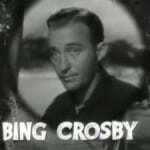 But a handful of -by names are rather stylish: Ashby, Crosby, Colby, Jacoby, even Ruby. So don’t count Kirby out – if you can get past the video game character, there’s lots to like about this one. Do you think Kirby is wearable today? Is it better for a boy or a girl? My mother named me Kirbi because of Dynasty. Makes sense, I was born in 84′. This article was rather cool; thank you for sharing. I can say this, I often get asked if my parents were on drugs when I was named or if it is really my real name and so forth. It should be noted that the reason Kirby is so named in the Brave Little Toaster is because Kirby vacuum cleaners have been around since the 1930’s. None of the appliance characters have real “names”, they’re called “toaster,” “lampy” and “blanky” and the like. Kirby just lucked out! Being born in 84 and growing up in the 90s, the big pink blob is the Kirby I think of for sure. I however did watch Brooke Shield’s show Lipstick Jungle and one of the characters had a love affair with 20 something photographer named Kirby. That is the only time I ever associated the name with a person and not a pink blob. I though it sounded a little childish on him for some reason. I do like the sound of Kirby, but maybe I am in the girl camp because I thought it was too cutesy and childish on the beefy 20 something man. I can’t decide if I like it more for a boy or a girl– I’d call it a tie. If I were to use it as a first name or middle, it would be for Kirby Cove, a wonderful little beach I frequented near the Golden Gate. 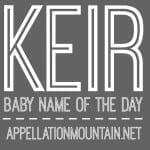 I agree–it is a happy sounding name. It would be a great way to honor a Kirk, which sounds a little dated to me. If people can get passed Zelda being a video game series and find love for the name, why not Kirby? Growing up in Minnesota during the 80s and 90s, Kirby, to me, only brings up memories of Puckett. He was mainly referred to just by Kirby and is still an icon there. A lot of families I knew as a kid named dogs and cats after everyone’s favorite baseball player. 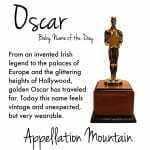 For me, this is a name too closely connected to one person to be usable. It’s such a friendly, happy feeling name. I think I like it just as much for a boy or a girl.